A flurry of horns and then we’re straight into a chunky groove from the Swampfog rhythm section, with Jed Potts on guitar, kicking off a medley of early Meters material. One of an interlinked ensemble of Edinburgh bands serving up a variety of R’n’B based recipes, Swampfog are well equipped to deliver a menu of The Meters’ N’Awlins funk – and tonight they’ve recruited some guests to add some extra heat to the jambalaya. Pickles and great syncopation from Jamie Graham on drums and Craig McFadyen on bass, it’s clear that tonight all concerned are in for a treat. There’s nice interplay all round, plus some very NOLA chant-along passages, and a tasty trumpet solo from Charles Dearness. By the time they get to the shuffling ‘Cabbage Alley’, with a trombone solo from Paddy Darley, there’s some wee fella dancing away on his own in the corner – but he certainly won’t be dancing alone all night. An imaginative clapalong directed by Potts, and a trombone solo from Ross Lothian preface ‘Chicken Strut’, on which Potts conjures up a horn-like guitar tone for a juicy solo. 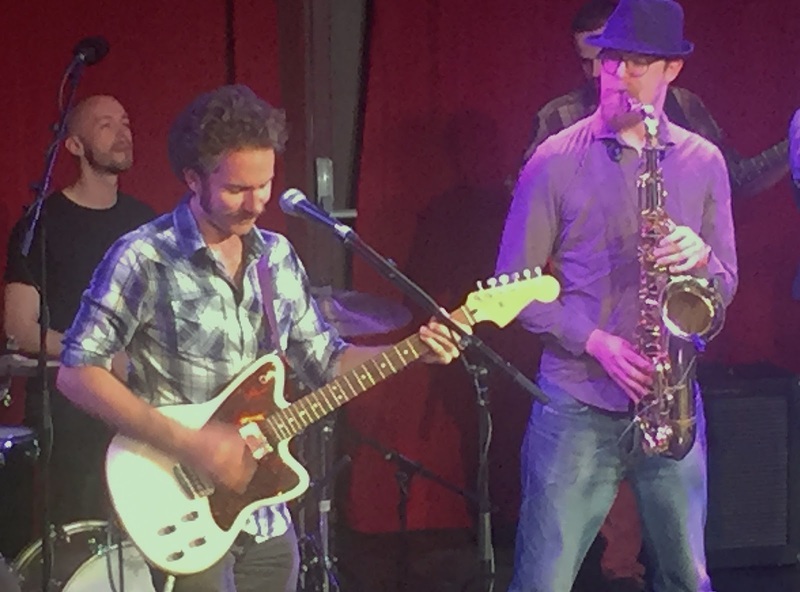 Pickles’ sax solo could do with a touch more volume – but the horn riff is terrific. On ‘Ease Back’ they – well, ease back. It’s a mellow slow one, with more spot-on syncopation, and another grabber of a trumpet solo before it dwindles down to nothing. Then BAM – they explode into ‘Ride Your Pony’, the groove embellished with a smattering of witty little musical asides. The first of a series of guests appear in the form of New Orleans’ trumpet player Kevin Louis and local singer Nicole Smits, doing a slinky trio reading of ‘I’m Gone’ with Potts. Smits sticks around for ‘Liar’ when the band returns, with Potts showing off some funky riffing. It’s a prelude to some serious guitar wrangling to close their first set, on the jagged ‘Just Kissed My Baby’ – a wonderfully HUH invoking funkerama – and then on Dr John’s ‘Quitters Don’t Win’. The Meter Man’ until the horns re-enter, heralding a groovy sax solo from Potts, and then it’s time for another guest. 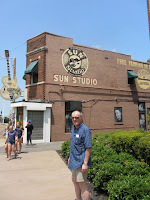 Local boy Angus Munro appears to sing on the excellent ‘Talkin’ ‘Bout New Orleans’, and along with a soul-freakish voice he has a grinning, energetic style that immediately triggers an outbreak of audience dancing. With the temperature raised, N’Awlins players James Martin on sax and Danny Abel on guitar join the fray for ‘It Ain’t No Use’, Martin also contributing the vocal. Abel shows off a biting tone, and a fluid, soulful style, while Martin contributes a wailing solo that resolves into a lovely riff from the horn section. The stage begins to fill up as Kevin Louis returns, accompanied by Aron Lambert who delivers some all action drumming while Potts and Abel get into some quick-fire guitar duelling on the well danceable ‘Stretch Your Rubber Band’. And then it’s time for the entry of . 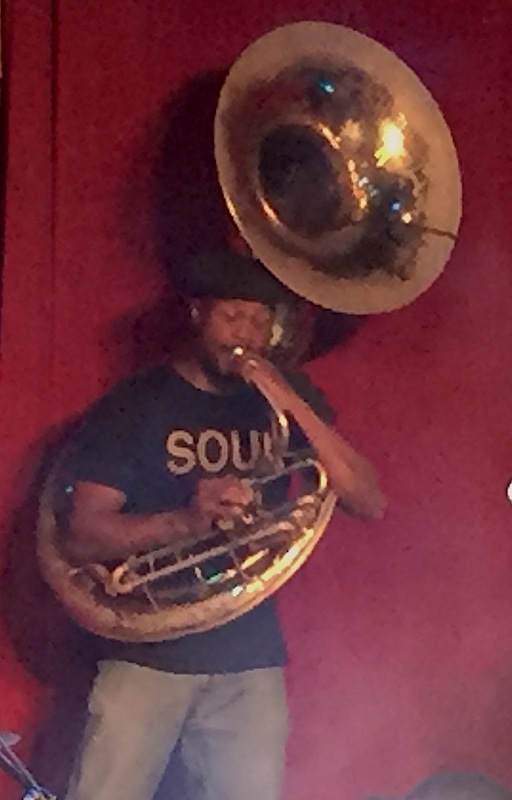 . . Steve ‘Tuba Steve’ Glenn on – no, not tuba, but sousaphone of all things. Ever seen a drum and sousaphone showcase? Well Glenn and Lambert give it a cracking go on the stonking ‘Fire On The Bayou’. Angus Munro returns for the finale of ‘People Say’, and though it may be a slice of social commentary tonight it’s quite simply party time, as Munro leads the dancing in front of the band. Eventually they bring down the curtain and depart the stage, and for a minute it seems that calls for an encore are going to be frustrated – until they catch us on the hop with the horns re-entering from the back of the Piccolo Spiegeltent. It’s the cue for a joyous cacophony, a riot of a conclusion in which all concerned show their chops as they manage to hold it together while chucking the rules out the window. Tonight was billed as Swampfog Play The Meters, but high fives all round for a night of funk, fun and frolics, as the Big Easy came to Auld Reekie.